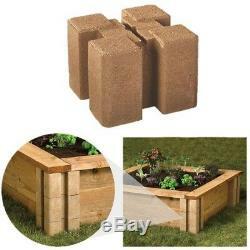 Reinvent your garden with the Oldcastle Planter Wall Block. 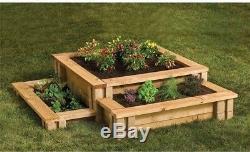 This functional wall block allows you to easily create a raised garden bed, border or even outdoor furniture. Simply stack and link the blocks with 2 x 6 wooden boards. 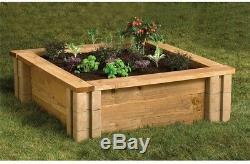 In just 30 minutes you can have your garden built-just add soil or mulch and you are ready to start planting. Simply slide in 2 x 6 wooden boards into the side slats to create a wall or border - the boards can be cut to create different configurations. Can be stacked up to 2 ft. Easy assembly - rod bars may be used to fix blocks in the ground and deck screws can be used to attach a wood capping. 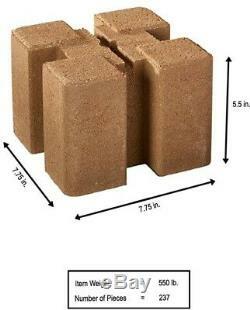 24 blocks are included - each block is 22 lbs. And is 5.5 in. H x 7.75 in. L x 7.75 in. 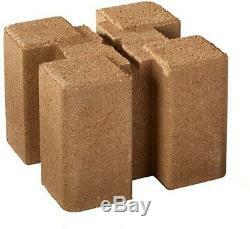 : 32 Color Family: Tan Color/Finish: Tan Material: Concrete Product Weight lb. 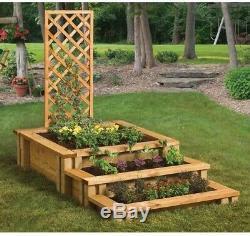 : 525lb Raised Bed Features: Elevated Bed, Expandable, Multiple Tiers, Trellis Returnable: 30-Day Shape: Square. 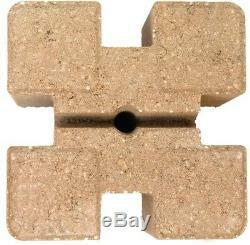 The item "Planter Garden Wall Block 7.5 in. Tan Brown (Pack of 24)" is in sale since Wednesday, June 13, 2018. This item is in the category "Crafts\Sewing\Quilting\Quilt Blocks & Tops". The seller is "homeimprovementdeals" and is located in San Mateo, California. This item can be shipped to United States.